WE BELIEVE EVERY BRIDE DESERVES TO FEEL LIKE THE BEST VERSION OF HERSELF ON HER WEDDING DAY. 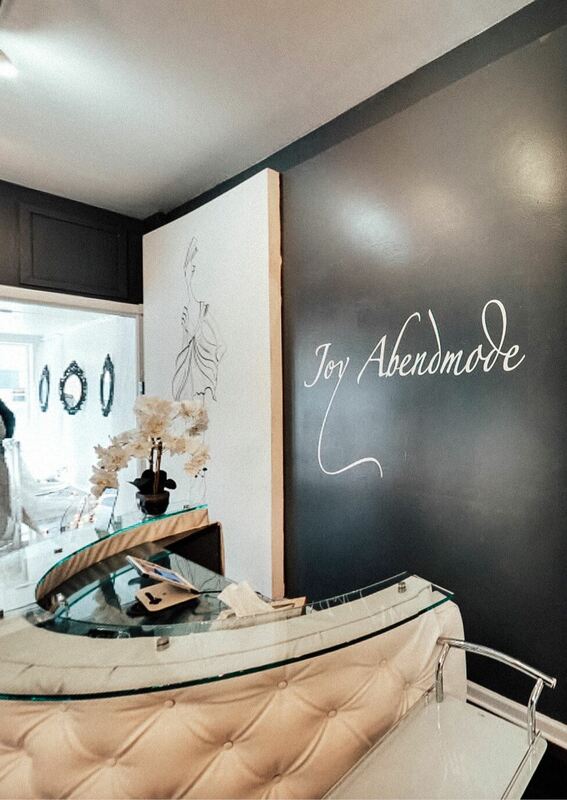 From the moment you walk through the doors, you know that something is very different about Joy Abendmode. You’ll feel the excitement and know that you are in for a special occasion. We believe that every bride is perfectly unique and it is our delight to help you find your perfect dress. You’ll find that our attention to customized, personal detail began the day we opened our doors and we are proud to offer exclusive rights with some remarkable designers. In addition to the refreshing and unique collection, we also trust that you will discover our dedicated staff to be second to none. We believe that shopping for your dress is one of the most exciting parts of the process and we are here to make it an enjoyable and memorable experience. And the best part? 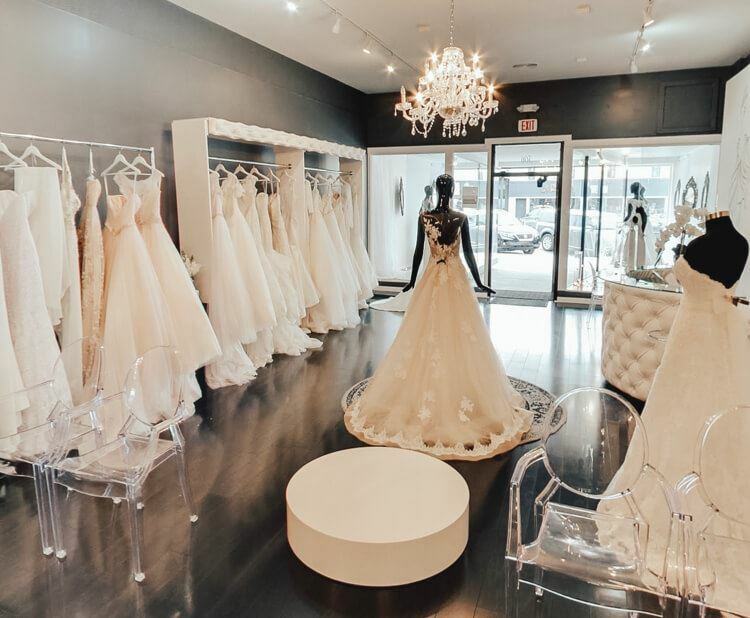 We combine the elegance of a full-service bridal boutique with a showroom of beautiful gowns that are reasonably priced. We believe that the experience should not be overshadowed by the expense and we strive to create the perfect moment for our brides to “Say Yes” to their dress. But, that’s enough about us! We warmly invite you to stay awhile and peruse our carefully curated collections, take a peek at upcoming trunk shows, experience Joy and be ready to fall in love. Again. 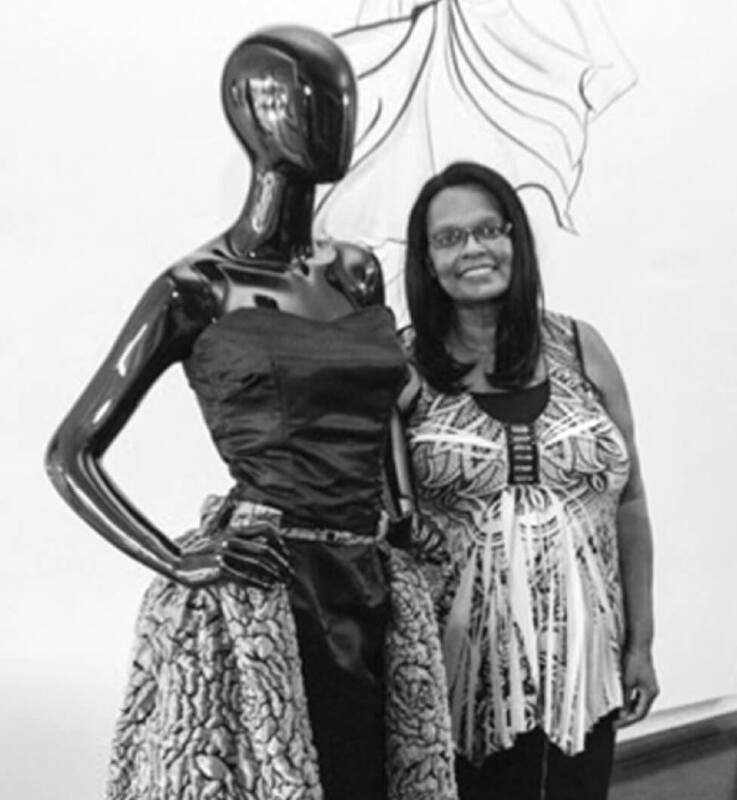 For over twenty years, Linda has created designer wedding and formal gowns for her clients. She has created original designs for every body type and style. She is able to work from photos, descriptions and her own unique vision, often times reading between the lines to create the final desired look. She has loved fashion and design since she was a teenager, choosing many times to augment the current trends to create her unique style. She has developed an intuition for how to handle fabrics and how certain styles fit different body types. She is able to see what will flatter a particular feature most (such as a small waist or long legs), enabling her to create a look that makes the wearer feel both beautiful and empowered. For Linda, it is both an art and science. She loves the satisfaction of seeing her vision for a piece come to fruition.